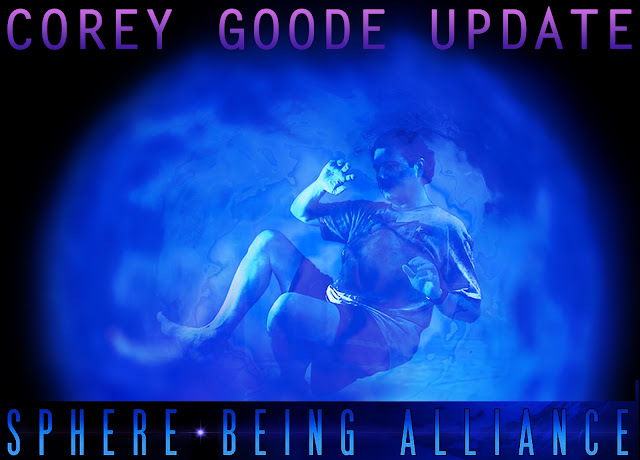 Corey Goode Facebook Update Regarding "The Cabal" -- "Sec Kerry's upcoming trip to Antarctica." U.S. Secretary of State John Kerry will travel to Antarctica, New Zealand, Oman, United Arab Emirates, Morocco, and Peru from November 10 - November 18. From November 10-12, Secretary Kerry will travel to Antarctica, where he will visit McMurdo Station, the largest research station of the U.S. Antarctic Program, as well as surrounding areas on Ross Island, and the U.S. Government’s Amundsen-Scott South Pole Station. He will be the first Secretary of State and the most senior U.S. government official to ever travel to Antarctica. At McMurdo Station he will meet with scientists and researchers studying a wide range of subjects in the extreme south of the planet, including climate change. He will also see firsthand part of the recently established Ross Sea Region Marine Protected Area, the world’s largest marine protected area (1.55 million square kilometers or 598,000 square miles). The Secretary will be hosted by the U.S. National Science Foundation, which manages the U.S. Antarctic program. Secretary Kerry will then travel to Wellington, New Zealand, from November 12-13, where he will meet with Prime Minister John Key and Foreign Minister Murray McCully for consultations on a range of bilateral and global issues. He will also participate in the dedication of the site of the United States Memorial and a wreath laying ceremony at New Zealand’s National War Memorial Park. On November 14, the Secretary will travel to Muscat, Oman, where he will meet with His Royal Highness Sultan Qaboos and Foreign Minister Yusuf bin Alawi to discuss Yemen and efforts to reach a peaceful settlement to the conflict there. The Secretary will then travel to Abu Dhabi, United Arab Emirates, on November 15 to meet with Crown Prince Mohammed bin Zayed to discuss challenges facing the region. From November 15-16, Secretary Kerry will travel to Marrakech, Morocco, where he will participate in the 22nd Conference of the Parties (COP22) to the United Nations Framework Convention on Climate Change. While at COP22, Secretary Kerry will deliver a speech that highlights the urgency of addressing climate change and the importance of continued ambitious climate action around the world. On November 16, Secretary Kerry will travel to Lima, Peru, to lead the Department of State delegation to the Asia-Pacific Economic Cooperation (APEC) Ministerial Meeting. The Secretary will discuss with officials from other member economies APEC’s work to expand trade and investment, promote small and medium enterprise participation in the global economy, foster regional food systems, and invest in human capital development. The Secretary will also deliver remarks at an event to celebrate APEC’s achievements on empowering women for economic growth and to urge APEC partners to recommit to further progress on advancing women’s economic empowerment.